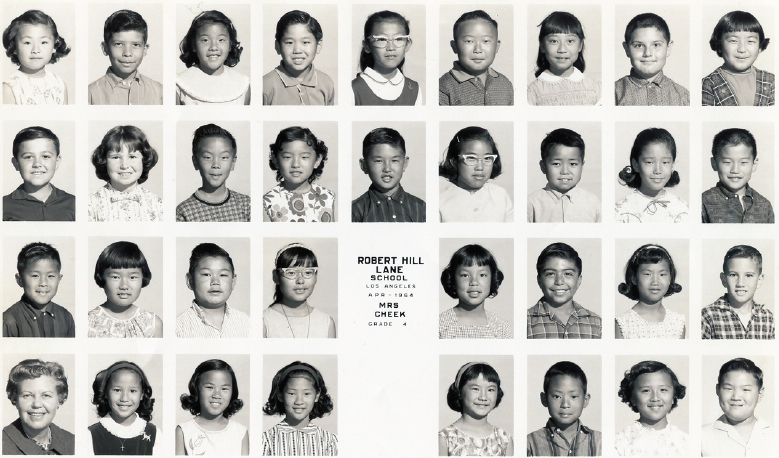 Robert Hill Lane Elementary fourth-graders from April 1964. TEMPLE CITY — A Robert Hill Lane Elementary School reunion will take place on Saturday, May 14, from 4 to 10 p.m. at the San Gabriel Japanese Community and Cultural Center, 5019 Encinita Ave., Temple City. According to reunion organizer Paul Isozaki, many Japanese Americans attended the elementary school in the 1960s. Robert Hill Lane is located in Monterey Park on Cesar Chavez Boulevard, across the street from East Los Angeles College. “The reason is simply to get together and socialize. It is an avenue to see old-time friends. Nowadays, we gather at funerals and say we should have gotten together,” Isozaki said. The reunion is also open to those who didn’t attend Robert Hill, but want to get together with old friends. Dinner starts at 5 p.m., featuring food from several L.A.-area restaurants. Cost: $35 per person. Deadline: Saturday, March 12. For more information, contact Isozaki at [email protected] or (626) 236-8480. 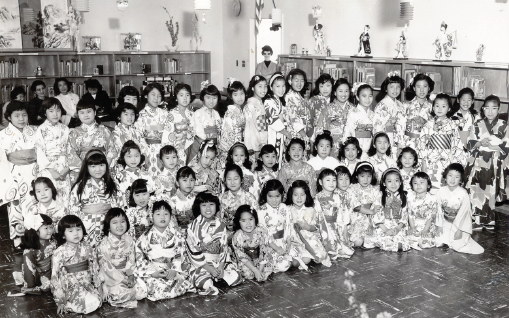 Students at Robert Hill Lane Elementary School students wear kimono for a Girls’ Day celebration in 1964. Let us not forget, a handful of Brightwood Elementary School students attended Robert Hill Lane Elementary School in the late 1950’s and early 1960’s, while Brightwood was being built. (I can’t remember when Brightwood officially opened). Robert Hill Lane served as a temporary school for the new residents on the hill.